A facility offering German events for adults and children as well as a restaurant featuring German cuisine. A large library of up-to-date books and DVDs is available for membership use. 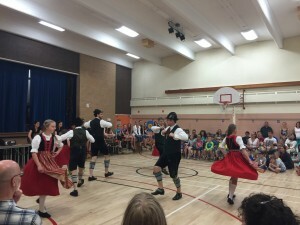 An association that represents the interests of Germans in Alberta and fosters the sharing of the culture of the several German-speaking groups with the whole of Alberta’s society. A preschool for 3 and 4 year old children offering classes during selected weekdays at Rio Terrace School. An elementary public school offering French immersion and German bilingual classes. A dance society for children and adults that perform all over the city.